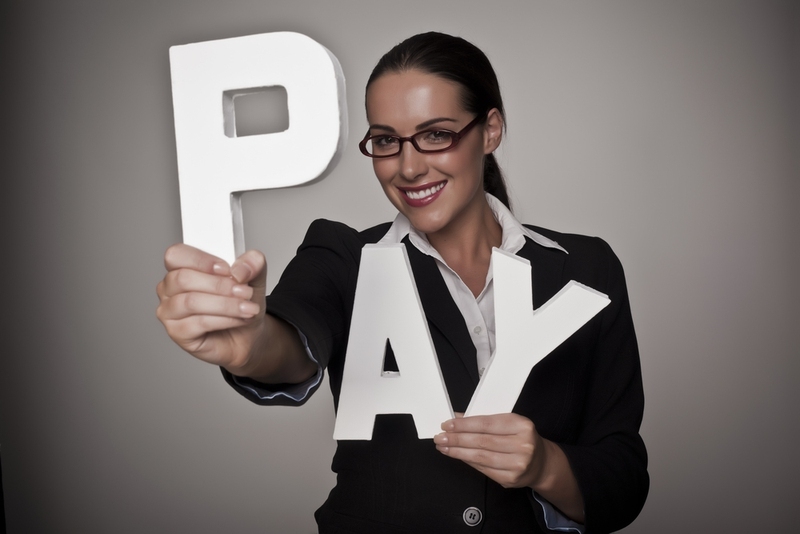 Why Do Recruiters Ask for Salary Requirements? A lot of postings for jobs want you to include your salary history and salary requirements when you are applying for a position. If the job posting doesn’t mention it, however, don’t offer any of the information about your salary. If it is too high, they can take you out of the running if they don’t want to pay this much or if they think you will not be happy working for less than what you asked for. If your salary is currently lower than what the company was planning to give you, then they could offer you a salary that is lower. You want the prospective employer to bring up this issue first, if at all possible. Here we serve more details about how to write a salary requirements letter or how to include salary requirements into a letter. You may wonder why employers ask for your salary information. There are several reasons why you are asked such a question. Your salary requirement letter lets the recruiter know whether you are under-qualified (very low expectation), over-qualified (very high expectation) or just right for the job (having the right expectation). It is a great device for screening and it makes the selection a lot easier for the recruiter. The recruiter might not think you value yourself or are capable to handle the job if your expectation is too low. In some circumstances, it could work to your advantage when a company is looking for ways to save money while recruiting only people who don’t need a high paying job. Salary requirements in cover letter are a common and effective way to get across what your salary requirements are. How to write a salary requirement letter can be an important step in getting a satisfying job offer. Research salary and job data on the Bureau of Labor Statistics website and you’ll find details of salaries by region and industry, metropolitan areas and state. You can also get in touch with professional organizations which are related to the industry that could have salary survey data they could share with you. Call an employment agency and speak to a recruiter for information on the salary for the job you’re interested in. Avoiding the salary requirement question is best, and writing open or negotiable in the letter is good if you don’t want to list a specific range. Because, if your range is under what they are willing to offer, you could get a lesser offer than if you avoided the question, and if it is higher, the employer could decide to disqualify you for the job altogether. Giving a range instead of a figure will also give you more negotiating power. Use the data you collect to make a salary range, adding $10,000 to the minimum starting salary for the upper salary range. Therefore, if you find that most people starting out in this position earn at least $52,000; use that as your starting salary and then $62,000 for the max limit of the range. Add another $10,000 to the minimum if you have more education than required or experience in the field, making your starting range $62,000 and your upper limit $72,000. If you can’t find any salary information for the job you are applying for, take your last starting salary and add ten percent to the starting salary, and $10,000 to the upper limit. For instance, if you last made $50,000, add $5,000 to the starting range and $10,000 to the upper limit, for a starting salary of $55,000 and an upper limit of $65,000. My training and customer service experience, plus my educational background, make me a candidate who is ideal for the corporate trainer position listed in your career center. A lot of my work experience previous to this has been in customer service, and the techniques and tools I learned for this apply directly to what the corporate trainers need and the skills you seek including facilitating group discussions, speaking effectively, developing rapport, solving problems, meeting goals, organizing, and managing groups. My extensive education which includes a bachelor’s degree in marketing and minors in communications and human resources, plus postgraduate work in counseling and teaching will me in adding new ideas and perspectives to your department. I am confident I can be a team player on your training team and I would like to have the chance to show you. An acceptable salary range for this job per your request, based on my research and the description is between $50,000 and $55,000, which doesn’t include supplements or benefits. This is negotiable and flexible, depending on factors like faster salary reviews, additional benefits and increased advancement opportunities. Responding to your request, my requirement for salary is in the mid to high $50,000 range. Depending on the benefits Xyz has to offer and the job requirements, this is negotiable. Please feel free to contact me again if you need any additional information. I am writing you to let you know of my interest in your Web Design Specialist position I found on Craigslist. I have previous experience in designing health-based consumer focused websites. A lot of my experience is from the business world, but I still understand the social value of a non-profit sector. Responsibilities I had included daily content programming, the site's editorial voice and style and production of the website. I closely worked with medical editors and health care professionals to assist them in providing the best information possible to health care professionals and consumer audience of patients. My experience has enabled me to build strong relationships with all departments in an organization. I can work within a team, and also across teams. I can work to resolve technical issues with web engineers and put into practice technical enhancements, work with the development department to put out functional enhancements and design, plus monitor statistics for the site and do search engine optimization. My requirement for salary is between $70,000 and $80,000. Your salary requirement letter shouldn't be longer than one page. Use Times New Roman, size 12 Font (this can be 11 point for any but corporate jobs), for corporate jobs use 8-1 point (font must be 1 inch for corporate jobs). Besides, for both the resume and cover letter use the same identifying information format. Your salary requirements letter should be addressed to the recruiter or hiring manager. If you don’t know the name of the individual, speak with the organization and ask for the right person’s name and title. Double check the spelling of titles and contact names. Look for any grammar and spelling mistakes. Typographical, spelling and grammatical errors are not acceptable. Sign your letters using black ink. When send your letter, for an email, attach your salary requirements letter to the e-mail and mention the attachment in the body of the e-mail; for standard mail, your letter should be printed out on resume paper; fax on regular paper.